Velvet Creme Doughnuts | A Miami icon since 1947. Make your next event tasty! doughnuts or soft serve ice cream. Festivals and events, we're there! Trust us. It's tastes as good as it looks. 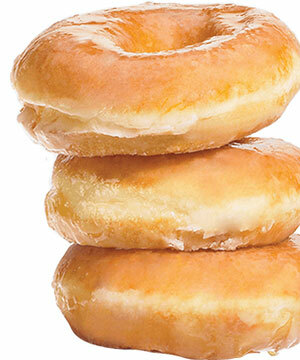 Our mouth watering hand-made doughnuts are delicous and made fresh daily by our experienced staff. Soft Serve Ice Cream everybody loves. Enjoy this refreshing treat on a hot summer day. Start your day off right or wake yourself up during the afternoon stretch. Freshly brewed throughout the day. In 1947 with a thousand dollars in his pocket Jim Hadler decided he wanted to open a doughnut shop. Jim decided that he would open in an area in Miami, Florida now known as “Little Havana”. Jim recruited his father and mother’s help and his mother and father packed up and moved to Miami from Minnesota to help their son realize his dream. The store originally was known as “Hadler Doughnuts”, evolving in a few years to Velvet Crème Doughnuts. Jim was a very ambitious fellow and decided to start doughnut routes within a couple of miles of the store. To service these new doughnut routes Jim purchased a bicycle and would deliver the doughnuts himself. 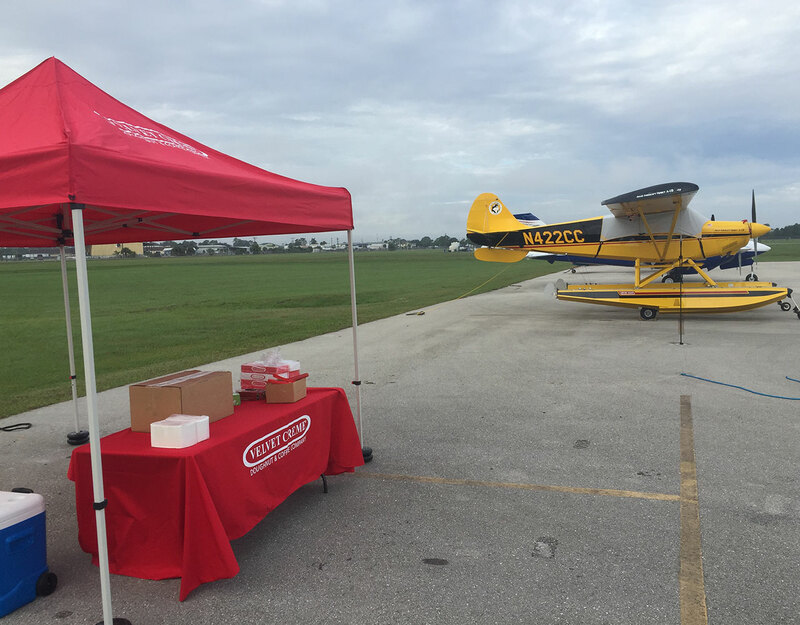 This delivery method eventually turned into a fleet of vans painted with the Red & White Velvet Crème Doughnut logo. To this day Velvet Crème Doughnuts continue to use the same logo and color scheme. In July of 1977 Jim decided that he wanted to expand, and with his son in law Bob Mihm as the manager, Jim opened another store in South Miami. This location was an instant success in that it was located across from the University of Miami and became a hangout for University of Miami students. Both locations became meeting places for people from all walks of life. The common factor was they loved doughnuts. In 1989 Jim retired and handed the business down to his son Gary. 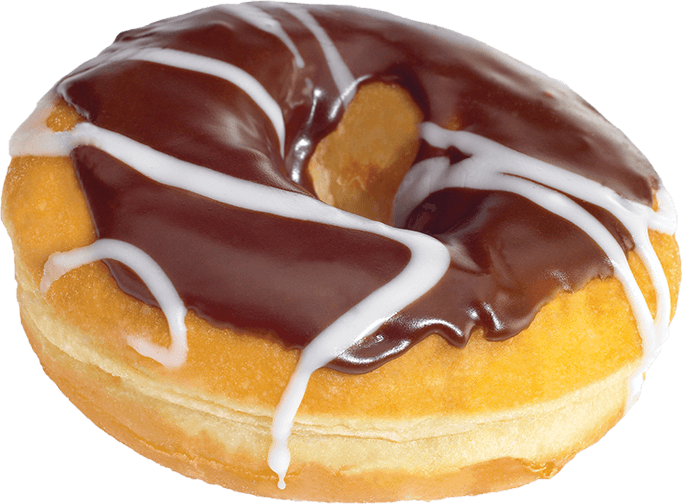 Within a few years Gary expanded the business and Velvet Crème Doughnuts were in almost every retail food store in Dade, Broward, and Palm Beach counties. Gary became ill in 2000 and the business was closed. In 2008 Gary passed away, Gary’s brother in law Robert Taylor began to revive the brand. In 2014 he partnered with Jorge Rios a successful Cuban born business man from Miami who frequented the store in South Miami with his wife and three children. 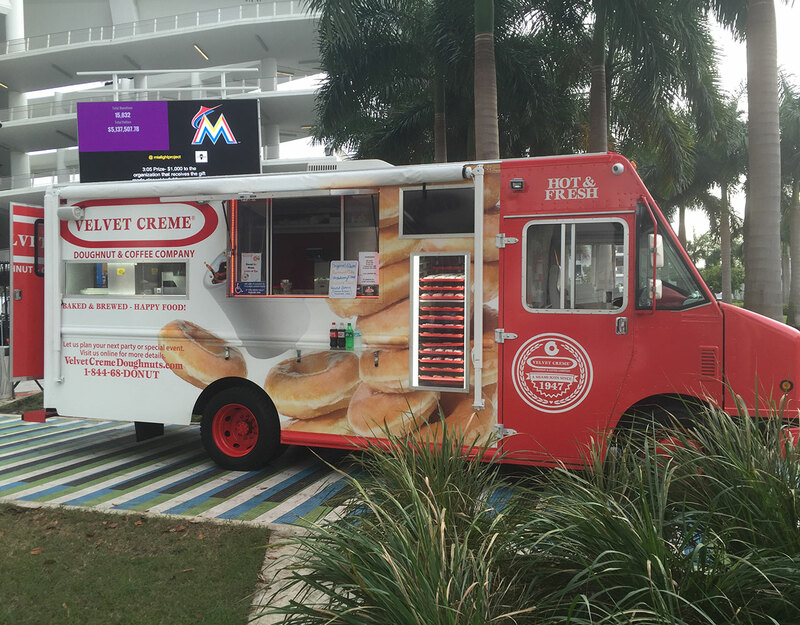 With a national trademark and the same original formula Velvet Crème launched a food truck to revive the brand. This was an instant success and Velvet Crème is back and producing the same great doughnuts as it did for over sixty years. This was an instant success and Velvet Crème Doughnuts is now back on SW 8th Street, in the Little Havana Neighborhood producing the same great doughnuts, fresh roasted coffee and soft serve ice cream.